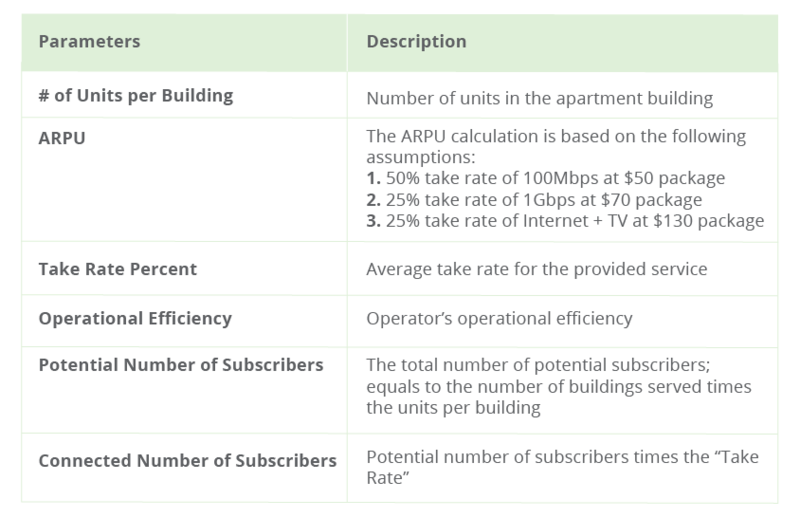 Plug YOUR numbers in and get the ROI YOU need to deliver Gigabit to the home services. 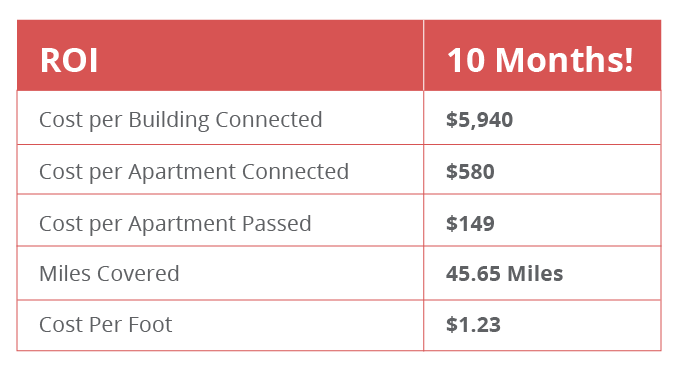 MDU market represents $8.3B connectivity opportunity for service providers in the US. In order to illustrate the business case and enable you to evaluate your business opportunity based on your network and requirements, we have created an online MDU business case tool. 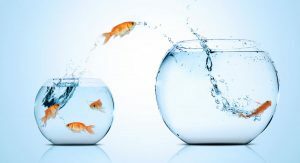 This Financial Analysis Calculator provides end-to-end analysis of important business KPIs required for understanding the MDU connectivity business case using mmWave wireless solutions. It also enables sensitivity analysis to various parameters. 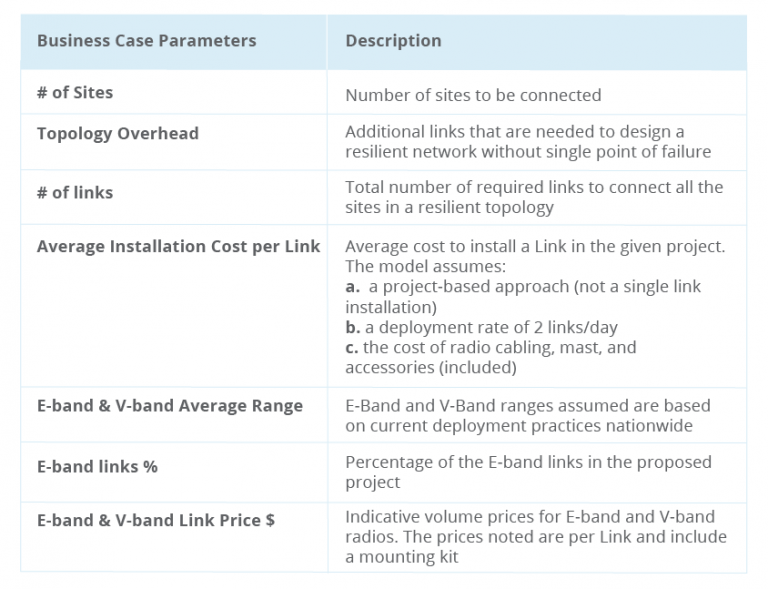 The tool provides a visual illustration of the solid business case for MDU connectivity application using mmWave fixed wireless technology. We’ll walk you through the assumption and different parameters, so you’ll be able to fit it into your project needs. 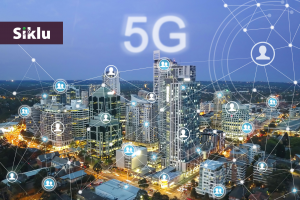 The infrastructure selection refers to fiber extension part of the network that will be implemented using a combination of E-band and V-band radios. The mmWave links are used to extend the existing fiber network (which is not a part of this business case). The installation cost assume a ‘project’ approach and not a single link installation cost. The model assumes that the service provider will take advantage of the existing wiring in the building and won’t rewire the building from scratch. G.fast technology is the simplest solution to connect the units. The in-building parameters are self-explanatory and based on today’s industry practice. This is the most important part of the business case. The tool enables to interactively change different values and instantly perform a sensitivity analysis of various parameters.